Has Your Relationship with Food and Your Body Taken Over Your Life? Constant obsession with your weight and calorie counting. Feelings of loss of control when eating. Guilt or shame after eating. Eating large amounts of food in a short period of time. Extreme fear of gaining weight, and thoughts about “feeling fat”. Your weight determines your level of self esteem. You feel self conscious or embarrassed about eating. You sneak or hide food and lie about your eating habits. You often fast or severely restrict your calorie intake. Compulsive exercising or not exercising regularly. You attempt to compensate for a binge by engaging in self-induced vomiting or by abusing diuretics or laxatives. Binge eating when not hungry or to relieve stress or depression. Eating sensibly in front of others, and then later binging when alone. If you identify with any of these feelings and behaviors, you do not need to continue living with an eating disorder. Whether you are overweight, underweight or close to your ideal weight, if you have a painful relationship with food, exercise, or the way your body looks, you can stop the suffering. Eating disorder treatment can help you take steps to change this self-destructive pattern, and learn to create a healthy, positive relationship with food and your body. Freeing yourself from the obsessive thoughts about food and your body. Ending the dieting roller coaster for good, and make choices based on sound nutritional information, as well as the fulfillment that comes from understanding what you really want and need. Feeling confident and in control around food, whether with people or alone. Identifying and resolving the underlying emotional issues that contribute to your disordered eating problems. Eating disorders are NEVER just about the food or how your body looks. The residual effects of emotional, social, and historical painful, traumatic or abusive experiences over time are at the root of all eating and body image problems. Overcoming exercise-resistance or obsessive exercise, and enjoying a healthy level of activity, not only because it is good for you, but because you feel and look great. Making peace with your body, maintaining healthy weight-loss, achieving the ideal healthy weight for you, and maintaining it for the rest of your life. Repairing and deepening your relationship with yourself and your body by learning that you deserve to treat yourself with compassion, love, and respect. My Counseling Approach Helps You Create Lasting Change with Problems of Anorexia, Dieting, Binging, Restricting, Exercise, and Body Image. I am a Licensed Marriage and Family Therapist with over 16 years of therapy training and experience working with people who have eating disorders (anorexia and bulimia) or other hurtful patterns of relating to food and their bodies. I have an extensive background as a therapist, group facilitator, and advocate in the area in the area of eating disorder treatment, disordered eating, and healthy weight loss. My Master’s thesis was a research project that explored the determining factors in the successful treatment of anorexia nervosa in young women. An abstract of that thesis was selected for publication in my graduate school’s annual Progress Journal. During the earlier years of my therapy practice, I spent close to a year working in a Partial Hospitalization Program and Intensive Outpatient Program for patients with eating disorders. I ran counseling groups and did therapy with individuals suffering from bulimia or anorexia nervosa and their families during their recovery process. In September of 2003, I was the featured eating disorder expert in a cover story for the Ventura County Star. The story focused on the controversial firing of a ballerina from the Bolshoi Ballet for being too heavy. I have always felt passionate about the subject of eating disorders and weight loss, and about helping people break free from their suffering to create long-term lifestyle changes. I, too, once suffered from disordered eating and was to overcome it with the help of counseling and eating disorder treatment. Several of my family members have struggled with obesity, compulsive overeating, and exercise resistance, and I have witnessed firsthand just how destructive these patterns can be. With my therapy skills, training, experience, and passion for helping people free themselves from eating and body image problems, along with your consistent willingness, openness and commitment, we can work together in counseling so that YOU can feel better about yourself than you ever dreamed possible. In your therapy and eating disorder treatment with me, I will help you go beyond increased awareness and understanding. 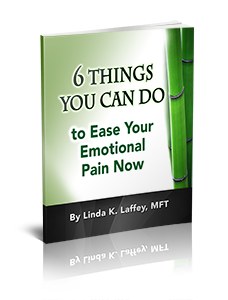 As you begin to get in touch with painful emotions, you will be discovering new tools to deal with, manage, and overcome those emotions. And as you eventually master your emotions, the painful way you have related to food and your body will become a thing of the past. If you have had enough suffering and want to change it now, please call my voicemail – (805) 375-5860 to schedule a no charge 15-minute telephone consultation. Let me know the best time to call you back to discuss questions you may have about eating disorder treatment, the problems you are experiencing, and how we can work together to resolve them.